Home » Animals » Experiment » Health » Knowledge » Medicine » Science » Expert Uses Animals to Find a Vaccine for Ebola but How About the Welfare of These Poor Creatures? According to a recent story from Texas Public Radio, scientists at the Texas Biomedical Research Institute have been trying to find a vaccine for Ebola for over 10 years, which includes testing on macaques. Scientists say that these monkeys have immune systems that are comparable to humans and their Ebola symptoms are very similar to ours. Now, that’s probably because they share a big chunk of the same genome. The humane society has concerns about this testing saying that there are animal welfare laws being broken. But scientists insist that without using macaques there is no other possible way to find a vaccine. There are only 6 facilities in North America that are actually allowed to work with the Ebola virus. Those are classified as Level 4 Biosafety Labs — the highest level precaution for working with the most dangerous agents. They are airtight and highly secured. So don’t worry. One of these labs in Canada, where vaccines have also been tested on primates, has progressed to testing the vaccine on humans. Results of this vaccine are expected in December, and may then maybe test on humans in West Africa. However, if the conditions remain unchanged for Ebola. All vaccines that were developed didn't give a positive outcome. The projected cases could be over a million by mid-January 2015 according to the center for disease control. That’s less than 4 months! 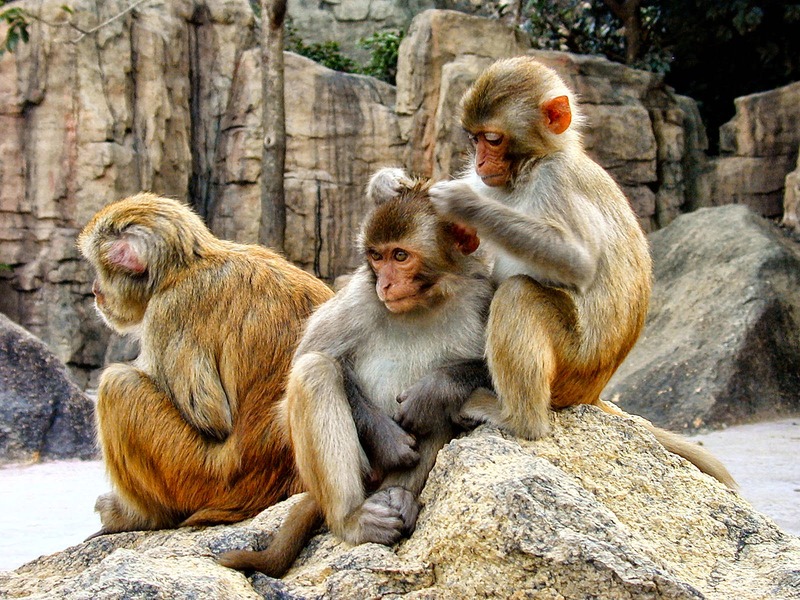 So, the ethical question we face is - are the tests on these macaques worth finding a vaccine? Could there be another way? Let me know what you think in the comments below. To find out more about how the spread of Ebola may be our fault check out this link here. Now, going back to the other question... How could this outbreak be our human fault? One great answer - One word, deforestation!!! Thank you for reading Expert Uses Animals to Find a Vaccine for Ebola but How About the Welfare of These Poor Creatures? posted on the website Kwentology if you want to redistribute this article please include the link as the source. Have some kuwento to share? Contact us!